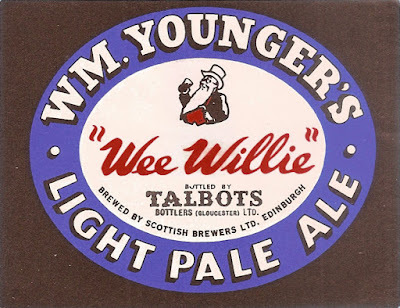 Time for another weird William Younger beer. Though all their beers in the run up to WW I were weird, containing huge quantities of grits. I’m not sure exactly what LAE was sold as. It looks like some sort of Light Pale Ale. They had a rather confusing range of beers of this ilk: LDA, LAE, SLE and MM. Other than LDA (Light Dinner Ale) I’ve no idea what any of the initials stand for. It’s remarkable how few ingredients William Younger used at this time. Pale malt, grits, the odd bit of sugar, Pacific and Kent hops. The only place they used any dark malts was in their Stouts. Which were also a weird bunch, but we’ll return to that later. You’ll not that the boil is quite long. Younger was always swapping around its boil times. In the 1850’s, they were very short, often barely over an hour. By the 1860’s it was 1.5 to 2 hours, in the 1880’s 2 to 2.5 hours, in the 1890’s around 3 hours and on the eve of WW I back to 2 to 2.5 hours. In the 1930’s it was down to 1.75 hours. It’s much more complicated than “Scots brewers boiled their worts for 3 days”. There’s not really much else I can say about such a simple beer. Except that they were still brewing it after WW II. 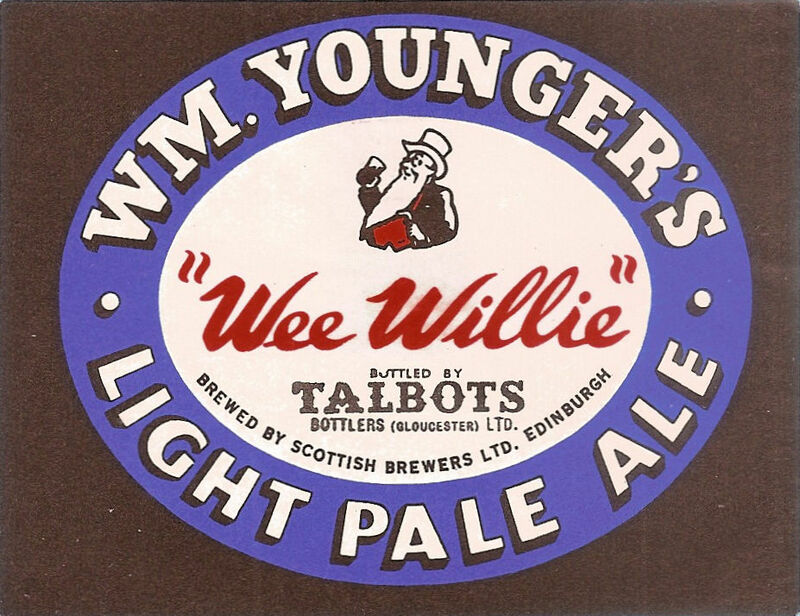 I remember when coming tio Liverpool to live seeing Wee Willie in pint bottles in the offie. I'd never seen it in Scotland. Tasted to me like renamed McEwan's Pale Ale. And are grits just maize? grits are a form of maize, yes.